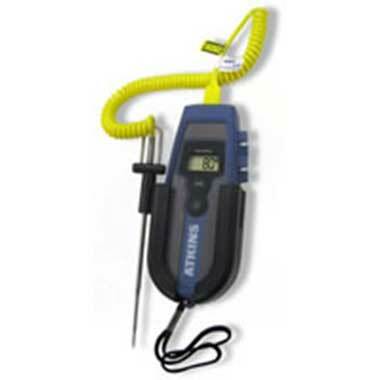 Get quick temperature readings with minimal impact on your product with a Thermocouple Combo Pack. The thermocouple features a digital display that can easily read temperatures and the long probe features a step-down, thin tip designed for rapid and accurate response time. Additionally, the powerful micro-processor and memory is able to save calibration settings, eliminating the need to recalibrate with each use.